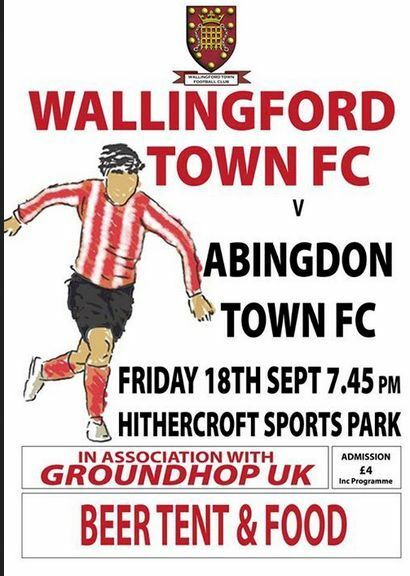 The 5th annual memorial game between Wallingford Town and Wantage Town in memory of club stalwart Charlie Allum, who served the club for 25 years, is set to take place on Weds 26th August. Wantage are the current holders and we anticipate a tough game against a Wantage reserve side that have started the season well in Division One East of the Hellenic League. Please come and support the game in memory of Chas, who was widely known throughout the area as a top player for Wallingford over many years but who also had a spell with Wantage towards the end of his playing days. Charlie was also at one time or another First Team Manager, A Team Manager, Committee member and Groundsman at Wallingford. More than this though, over the years he became a great friend to so many footballing people in the Town. Charlie’s eldest son Chris is aiming to put the boots on again and will present the shield to the winning team. After not playing a league game for two months this fixture was always going to be a tough one. Wallingford went one down early on and from that minute really were second best for the majority of the first half and were grateful to ‘keeper Matt Leach when he tipped over a fierce drive shortly before the half. But as we all know it’s a game of 90 minutes and Wallingford really took the game to Faringdon in the second half, with our 3 sixteen year old lads making a huge contribution to turning the game our way. Joe Webber’s introduction shortly before the hour mark seemed to galvanise us . Having had an earlier goalbound effort cleared after dancing around the Faringdon defence, young Joe Webbers shot with only 10 minutes left to play is pushed out by the keeper and that ‘fox in the box’ Ashley Searle gets the rebound and gets us back in the game. We then loose veteran full back Daniel Marks who is involved in a nasty clash of heads. So playing with ten men, Savio Patel roasts their full back for fun and delivers a fantastic cross for Samuel Larking to head the winner. Great to come away with three points from this game. The ‘A’ Team lost 7-2 away at Didcot Eagles Craig Passey and Ed Seares scored the Wallingford goals. That’s the A Team fixtures all done now. Massive congratulations to Arthur and his team, many of which were fresh out of youth football at the start of the season and his very young side have secured a sixth place finish in their division as well as many of the squad making their mark in both the reserve and first teams. The future’s bright – it’s red and white!